BioComp Dakota, Patterns and Profit are applications developed and sold by BioComp Systems. You can read more about the BioComp Financial products at the BioComp Systems website. 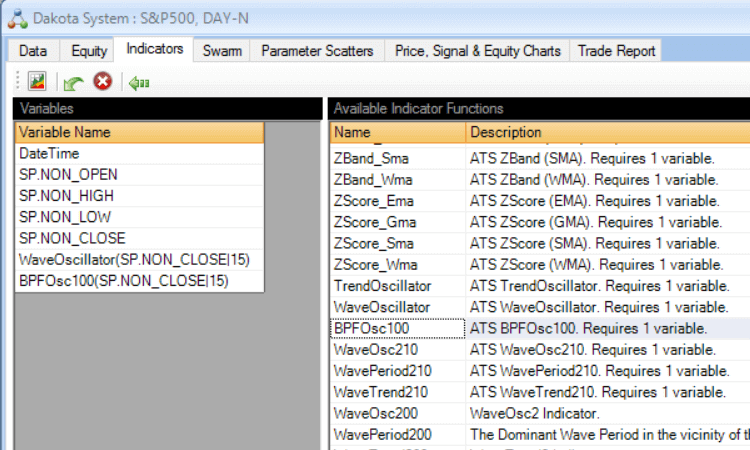 Indicator add-ins are functions for transforming data series that are applied on the Indicators tab within BioComp Dakota, Patterns and Profit. The indicator add-ins include the TrendOscillator and WaveOscillator which are proprietary indicators developed by AdaptiveTradingSystems.com. BioComp Dakota is a highly extensible application. Dakota systems are comprised of swarms of bots that generate trading signals. The Dakota add-ins make it possible for bots to utilize technical indicators, neural networks, support vector machines, genetic programmers, nearest neighbor pattern matching and decision trees. 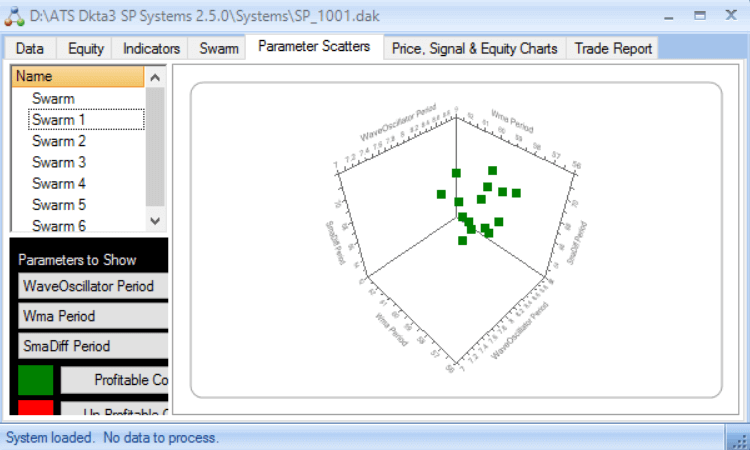 The BioComp Dakota add-ins provided by AdaptiveTradingSystems.com include Swarm Initializers, Swarm Adapters, Bot Performance, Signal Generators and Model Mergers. Adaptation occurs via the swarm adapter as well as via the periodic retraining of machine learning algorithms that are included in the signal generator add-ins.